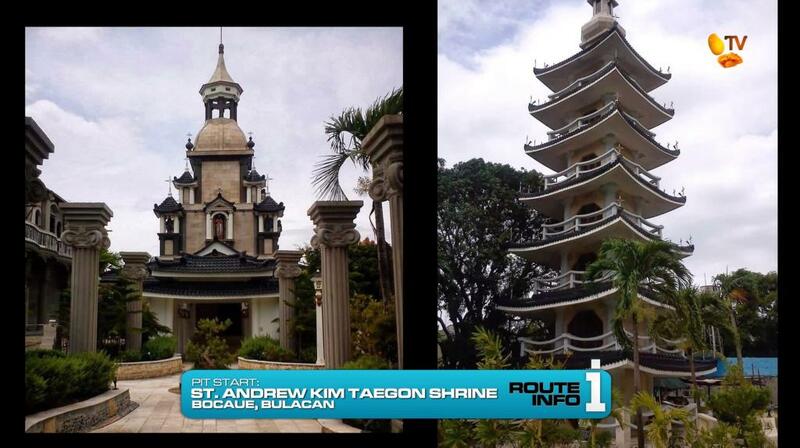 This is the St. Andrew Kim Taegon Shrine, built to honor the first Korean-born Catholic priest. After having spent time in study here in Bocaue, Bulacan, he was martyred in Seoul in 1846 and canonized by Pope John Paul II in 1984. This shrine also served as the 5th Pit Stop of the Race. It is early morning and eight teams are left in the Race. They are all shocked when their first clue tells them they will be flying out of the Philippines to their next destination: Jeju Island, South Korea! 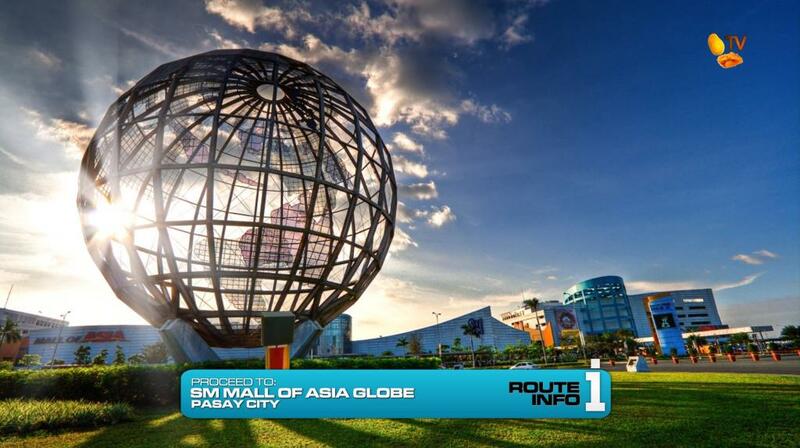 Teams must first hurry to the globe at SM Mall of Asia to pick-up their tickets on one of two flights to Jeju. There is room for only four teams on either flight. The first flight on Philippine Airlines departs at 11:25am for Shanghai where they will connect onto a China Eastern flight arriving in Jeju at 6:30pm. The second flight on Korean Air will connect through Incheon International Airport, departing Manila at 12:20pm and arriving at 8:35pm. 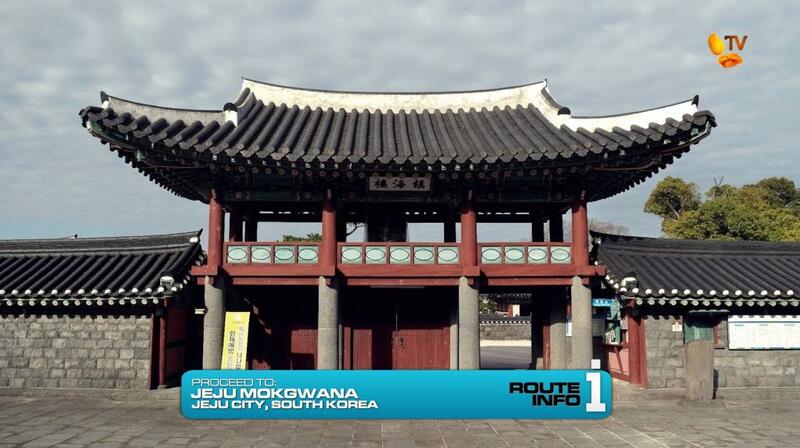 Once in Jeju City, teams must make their way to Jeju Mokgwana, the former central government office of the Joseon Period Magistrate of Jeju. Teams must search the grounds for a government official who will hand them their next clue. But… HOURS OF OPERATION. Jeju Mokgwana opens at 6am, so all eight teams will have to camp out for the night. Teams rush into the former government complex and they find the official who hands them their next clue telling them to hop into brand new Toyota Camrys and drive themselves to the Mysterious Road. 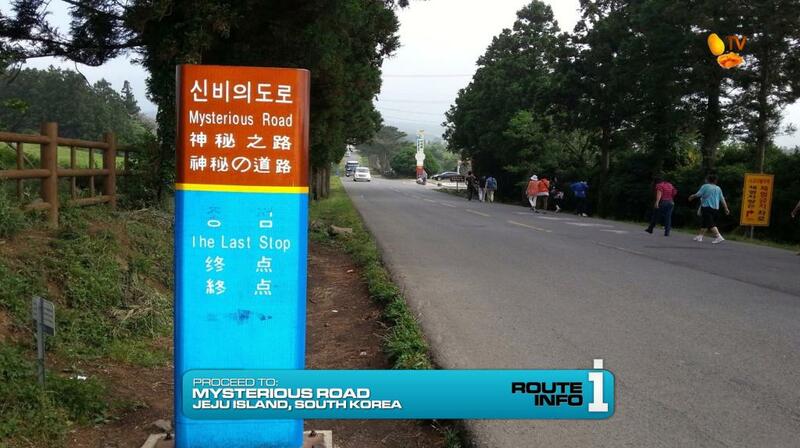 The Jeju Mysterious Road baffles visitors from around the world as objects and liquid appear to roll and flow up the hill instead of down. At this mysterious landmark, teams must bring their cars to the designated starting line, turn off their engine and set their car in neutral before letting it roll up the hill to the finish line where they will receive their next clue. 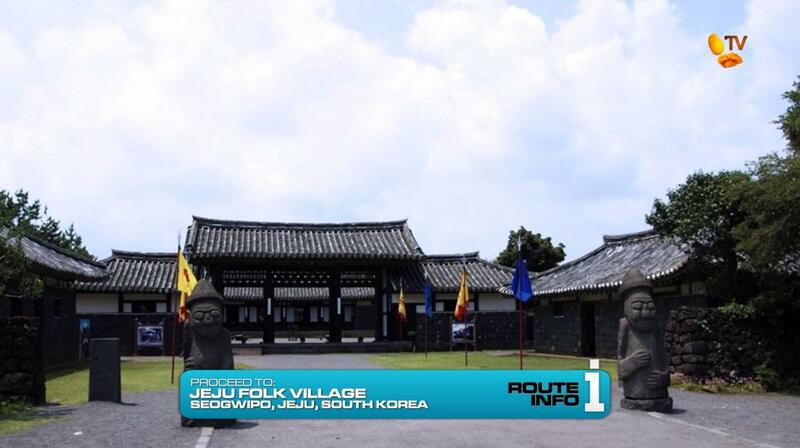 The next clue directs teams to the Jeju Folk Village. 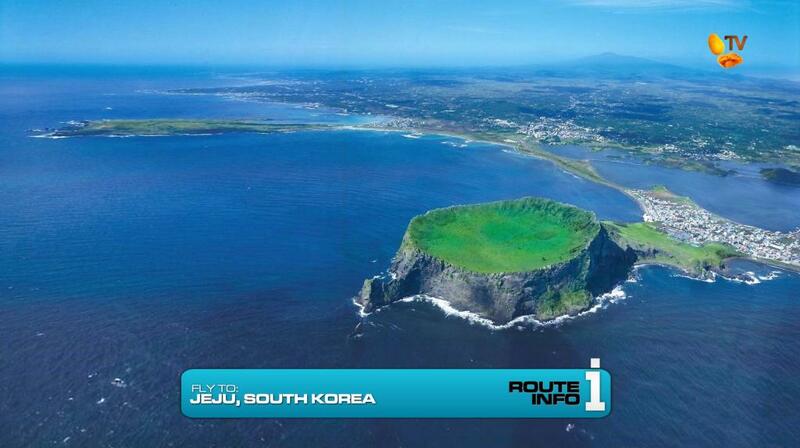 And at the Jeju Folk Village is the Detour. 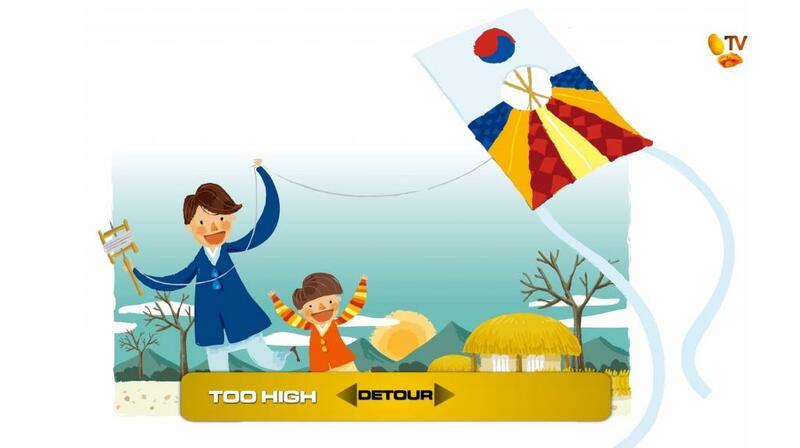 For this Detour, teams will travel back in time as they experience two Korean pastimes that have both become traditional fun for Koreans for centuries. The choice: Too High or Tuho. In Too High, team members much each assemble a traditional Korean kite and then head outside to fly it. The kite must stay in the air above 10 feet for at least 10 seconds before they can receive their next clue. 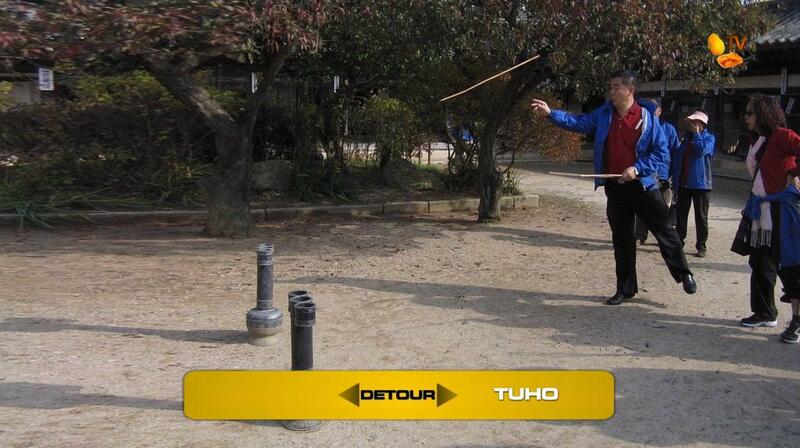 In Tuho, teams will play the traditional Korean game of Tuho, in which they must cast arrows into the hole of a narrow-necked jar. When each team member shoots three arrows into the hole, they can receive their next clue. For both Detours, teams will change into traditional Joseon Era Korean clothing. 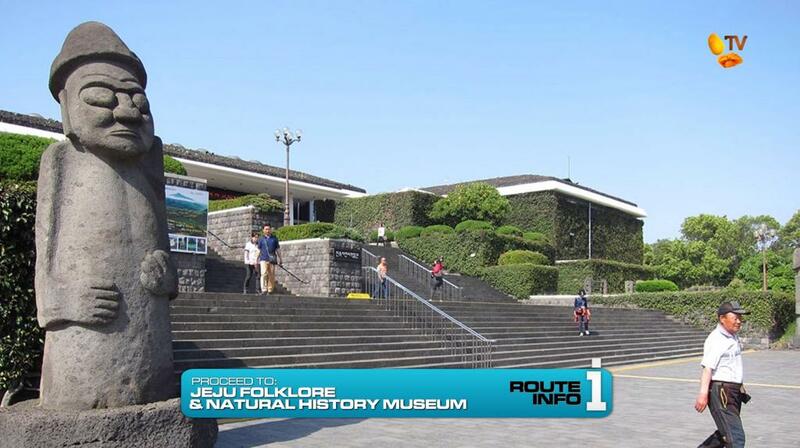 After completing the Detour, teams are pointed to the Jeju Folklore and Natural Museum in Jeju City. And there, teams find the Road Block. 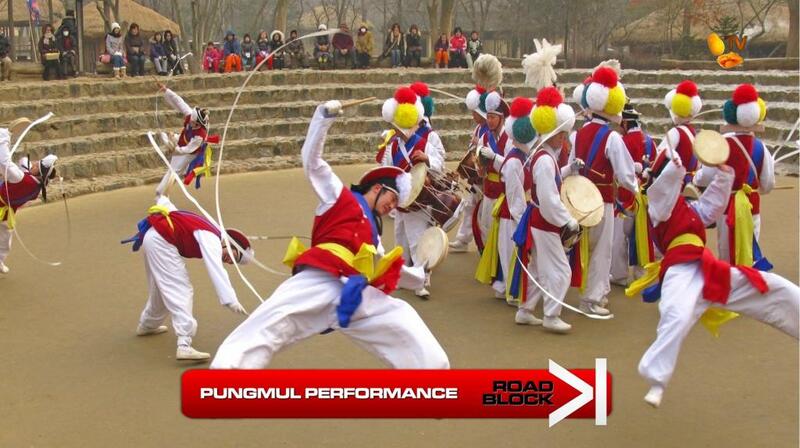 For this Road Block, teams must learn and perform a traditional Korean dance known as the Pungmul. Once they are able to master the high-flying and energetic dance, teams will receive their next clue. 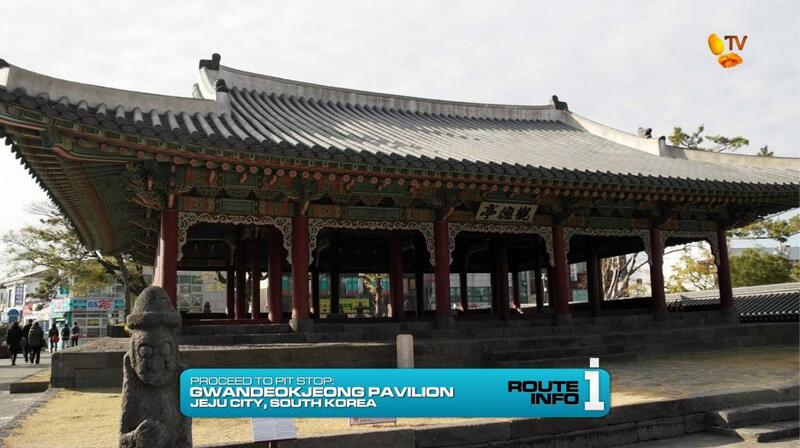 Gwandeokjeong Pavilion. The last team to check-in here will be eliminated. On the next Leg of The Amazing Race Philippines: DryedMangoez Edition, the teams’ Asian adventure continues in Vietnam. But so does the intense competition when the Double U-Turn again pops up.